Investigation on petrogenetic evolution of the ultramafic-mafic rocks and associated chromite and PGE deposits in the Singhbhum and Dharwar cratons of the Indian Shield. The additional aspect of this research is to understand crustal evolution and mantle heterogeneity of the Earth. Investigation on the Deccan Traps and Indian Archean komatiitic rocks (both extrusive and intrusive systems) using petrology and geochemistry to understand Ni-Cu-sulfide potentiality. 'Investigation on Ni-Cu sulfide potential of the Deccan basalt using major, trace and platinum group element geochemistry' under the scientific programme initiated by the Earth System Science Organization (ESSO) - Ministry of Earth Sciences (MoES), Government of India, New Delhi; Budget grant ~ INR 40.5 lakhs for 30 months (2014 - 2017). British Council-MHRD-UKIERI Thematic Partnership Research Project with Prof. Hazel Prichard, Cardiff University (UK) under the UK-India Education and Research Initiative (UKIERI): ‘Sustainable resourcing of platinum-group elements (PGE): studies to understand and locate PGE in chromitites and breccias in India’, Budget grant GBP 60,000 for 3 years (2013-2016). This project involves research scholar, dissertation student and faculty mobility from the both sides for interactions, training, fieldworks, and workshops. ‘In situ major and trace element studies of clinopyroxene inclusions in the Archean chromites from the Nuasahi igneous complex (India)’ and ‘Origin of chromites in orthopyroxenite from the 3.1Ga Nuasahi and Sukinda ultramafic-mafic complexes (India)’. Collaborative project under the JSPS fellowship. Collaborator: Shoji Arai (Kanazawa University, Japan). 'Petrogenesis of the Mesoarchean ultramafic-mafic suites and chromitites of the Nuggihalli greenstone belt, Western Dharwar Craton (India) using whole-rock and in-situ major, trace and platinum-group element geochemistry and Nd-Sr-Pb-Os isotopes'. PhD research scholar supervision (Ria Mukherjee) and international network project. 'Major, trace and PGE geochemical and stable isotope constraints on the magmatic differentiation of Mesoarchean chromitite-peridotite-gabbro-breccia suites of the Nuasahi and Sukinda massifs(India)'. PhD research scholar supervision (Sarifa Khatun) and international network project. ‘Pt-Os isotopic systematics of Archean chromites from the Singhbhum and Western Dharwar Cratons to understand the chemical character of the Earth’s mantle’. Network project with Jude Coggon, postdoctoral fellow with Ambre Luguet at University of Bonn (Germany). ‘Re-Os isotopic study of chromites from the Andaman Ophiolitic Complex, India to understand the chemical nature of the convective mantle’. Network project with José María González Jiménez (GEMOC-NRC, Macquarie University, Australia), postdoctoral research fellow with Bill Griffin and Suzanne Y. O'Reilly at Macquarie University, Australia. Other collaborator of this project is Biswajit Ghosh (U. of Calcutta). ‘Study on fluid-rock interactions in the 3.1Ga ultramafic rocks from the Nuasahi and Sukinda Massifs (India)’. Network project with Alik Sundar Majumdar (research scholar and leader of the project), Ph.D research scholar under Andrew Putnis at University of Münster (Germany). 'Cr (VI) distributions in the Sukinda valley, Orissa, India'. International network project with Cora Stefanie Paulukat, Ph.D research scholar at U. of Copenhagen under Robert Frei. The purpose of this project is to trace the metal mobility from unweathered ultramafic protolith (bedrocks) to extensively weathered lateritic and soil profiles, local drainage system, river, & ocean. ‘Petrologic, Os isotopic and PGE geochemical studies of sulfide minerals in mantle xenoliths from west Greenland kimberlites: implications for cratonic mantle evolution’. NordCEE supported (2009-2010) and network project. 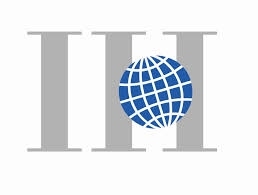 Collaborators: Minik Rosing (University of Copenhagen), Stefan Bernstein (Avaanna Resources, Copenhagen) and Bill Griffin (GEMOC-NRC, Macquarie University, Australia). 'Geochronology and petrology of the dolerite dykes from the Singhbhum Craton, India'. Collaborative research under global LIP dating project and M.Sc. dissertation supervision. Collaborators: Rajesh Srivastava (Banaras Hindu University, India) and M.Satyanarayanan, (NGRI, India). ‘Bulk-rock geochronology and trace element geochemistry of banded iron formation within the early Archean greenstone belts, Singhbhum Craton (India)’. NordCEE supported (2008-2010) and network project along with a M.Sc. dissertation supervision (completed). Collaborators: Robert Frei (U. of Copenhagen) and Minik Rosing (U. of Copenhagen). ‘Petrogenesis of the sulfide-bearing late Archean ultramafic bodies of the Shimoga greenstone belts, Karnataka’. Collaborators: K.S. Ananatha Murthy (Kuvempu University, India), Ed Ripley (Indiana University) and Mei-Fu Zhou (University of Hong Kong). ‘Investigation on geochemical evolution of the Stillwater Complex (Montana, USA) from in-situ Pb isotopic study'. Ed Mathez (American Museum of Natural History, NYC) is the PI of this project; other collaborators: Stewart McCallum (University of Washington) and Adam Kent (Oregon State University). Bill Griffin, GEMOC-ARC National Key Centre, Macquarie University, Australia (LA-ICP-MS of PGM-BMS-chromite, and support for student training). Hong Zhong, Chinese Academy of Science (major, trace element and PGE geochemistry). M. Lingadevaru, Central University of Karnataka, India (Projects related to the Western Dharwar Craton). 2015: Chaired (with Bill Griffin), Special session 12b of Goldschmidt 2015, Prague (August 16-21). 2014: Academic visit to the Institute of Geochemistry, Chinese Academy of Sciences, Guiyang, PR China, April 30-May 4, 2014. 2014: Selected for the ‘Full Professor’ position in the Institute of Geochemistry of Chinese Academy of Sciences under the ‘Hundred Overseas Talent Program-Type A’, Guiyang, PR China. Looking for a Full Professor position in Indian academic institute. 2014-present: Research Associate (Adjunct Faculty), American Museum of Natural History, New York City. 2013-2015: India Project leader of the British Council-MHRD-UKIERI Thematic Partnership Research Grant of GBP 60,000 for collaborative research with Prof. Hazel Prichard, Cardiff University under UK-India Education and Research Initiative. 2013: Chaired (with Bill Griffin), Special session 13f of Goldschmidt 2013, Florence, Italy (August 25-30). 2013-2016: Secretary, Commission on Ore Deposits in Mafic and Ultramafic Rocks (CODMUR) under the umbrella of the International Association on the Genesis of Ore Deposits (IAGOD). 2013-2016: Regional Councillor for India of the International Association on the Genesis of Ore Deposits (IAGOD). 2012: Co-Chair, Session ‘Ore Deposits’, National Seminar on ‘Recent advances & future challenges in Geochemistry & Geophysics: the Indian scenario’, Banaras Hindu University, India, 22-24 February. 2011-2014: Research Associate (Adjunct Faculty), American Museum of Natural History, New York City. 2011: Chaired (with Wolf-Gang Maier and 2 others), Special session 11b, Goldschmidt 2011-Prague. 2011-2014: Leader, ‘Ore Deposits’ work group, IGCP-SIDA-599 on ‘The Changing Early Earth’. 2010: ‘Prof. M.R. Srinavasa Rao Award’, Geological Society of India in recognition of the valuable outstanding contribution in the field of Petrology. 2008-2011: Research Associate (Adjunct Faculty), American Museum of Natural History, New York City. 2007-2010: NordCEE Fellowship for two years, Natural History Museum of Denmark, University of Copenhagen. 2007: Council for Geoscience South Africa Research Scientist for 3 years at Pretoria/opted NordCEE fellowship at University of Copenhagen. 2006: Featured in a textbook for kids. Macmillan/McGraw-Hill, NYC; Circulated in California-2007 & nationwide (USA) in 2008. 2005-2006: American Museum of Natural History Postdoctoral Research Fellowship, USGS project on the Stillwater Complex. 2004-2005: American Museum of Natural History Postdoctoral Research Fellowship, NSF project on the Bushveld Complex. 2004: Chaired (with Chusi Li) a session in the IGCP-479 (UNESCO) Hong Kong University Workshop. 2004: Co-chair, Organizing committee, IGCP-479 (UNESCO) Hong Kong University workshop. 2004: DST-NSF (USA) bilateral project/short-listed for final presentation/opted AMNH postdoctoral fellowship at New York City. 2003-2004: India Government DST Young Scientist project under Fast Track scheme/opted AMNH postdoctoral fellowship at New York City. 2001: India Government DST-BOYSCAST fellowship to conduct postdoctoral research in Indiana University, USA. 2000: N.N. Chatterjee medal for outstanding research in Economic Geology; Asiatic Society, India. 1997: Selected for the position of India Government CSIR Scientist and joined Central Glass & Ceramic Research Institute (CG & CRI) under the CSIR. 1996: Qualified India Government UPSC examination and selected for the Geologists Service/Opted Ph.D research work. 1993: India Government CSIR-NET fellowship & lectureship for 5 years. EPMA (JEOL-JXA 8200 superprobe) & LA-ICP-MS laboratories, Kanazawa University, Japan, 2013 (58 days). EPMA (JEOL-JXA 8200 superprobe), University of Copenhagen, 2008-2010 (2 years). TIMS & isotope geochemistry laboratory, University of Copenhagen, 2008-2010. EPMA (Cameca SX100), AMNH-LDEO (Columbia University) joint facility, 2004-2006 (2 years). LA-ICP-MS laboratory, Oregon State University, in situ Pb isotope analysis; short visit 2006. Ion-Probe laboratory, Woods Hole Oceanographic Institute-MIT joint facility; in situ trace element analysis; short visit 2004, 2005. EPMA (Cameca SX50), Indiana University, Bloomington, 2002-2003 (2 years). Stable isotope & gas separation plus analytical work, Indiana University, 2002-2003 (2 years). Laboratory in-charge - UGC sponsored computer laboratory for students, Dept. of Geological Sciences, Jadavpur University, 2000-2002 (3 years). Laboratory in-charge - Petrographic analysis laboratory equipped with image analyzer, Central Glass & Ceramic Research Institute (CGCRI, CSIR), Calcutta, 1997-2000 (3 years). EPMA (JEOL-JXA 8200 superprobe), USIC, IIT Roorkee, India; short visit 1996, 1997. Analytical chemistry laboratory, Bhabha Atomic Research Centre (BARC, DAE), India. Platinum-group element analysis by NAA; 1-month stay, 1997. SEM-EDS laboratory, Geological Survey of India; platinum-group mineral analysis, 1996. Pb-button fire-assay for PGE analysis, thin & thin-polished section preparation for petrologcal study and EPMA of minerals, sample preparation for major and trace element analyses. Dept. of Geological Sciences, Jadavpur University, 1994-1997. Convener & chair (with Bill Griffin), Special session 09a of Goldschmidt 2016, Yokohama, Japan (26 June-1July): 'Sustainable resourcing of ore deposits related to ultramafic-mafic magmas'. Convener & chair (with Bill Griffin), Special session 12b of Goldschmidt 2015, Prague (August 16-21) on 'Processes and Deposits of Ultramafic-Mafic Magmas Through Space and Time'. Convener & chair (with Bill Griffin), Special session 13f of Goldschmidt 2013, Florence (August 25-30) on 'Crust-Mantle Evolution and Changing Patterns of Ore Deposits in the Early Earth'. Convener (with R.H. Sawkar & R.N. Patra), International workshop on ‘Magmatic Ore Deposits’ 1-8 December 2012, Bangalore, India. Convener & Chair (with Wolf-Gang Maier and other two), Special session 11b of Goldschmidt 2011, Prague (14-19 August) on ‘Ore Deposits and the Role of the Lithospheric Mantle’. Co-convener & Resource person, Training course on ‘Recent advances on chromite, PGE & Ni-Cu sulfide deposits in the context of ultramafic-mafic rocks of the Dharwar Craton, India’. 5-6 June & 18-31 October 2010, Bangalore, India. Member, Advisory committee, International Symposium & Short Course on ‘Magmatic Ore Deposit’ (ISMO-2009), Bhubaneswar, India; 1-4 December 2009. Co-Chair, Organizing committee & a session, IGCP-479 (IUGS-UNESCO) Hong Kong University Workshop, Short Course, Field Trip 2004. Coordinator for 2 semester (2004 Fall-2005 Spring), ‘Tuesday Seminar Series’, Department of Earth & Planetary Sciences, American Museum of Natural History. 2018-present: Associate Editor, Ore Geology Reviews (Elsevier). 2017: Editor (Mondal, S.K., Griffin, W.), ‘Edited Book’ on ‘Processes and Deposits of Ultramafic-Mafic Magmas through Space and Time’, 1st Edition Published Sept 2017, Page 382. 2017: Editor (Mondal, S.K., Mukherjee, R.), Special Issue of the journal Ore Geology Reviews (Elsevier) on ‘Chromite: Petrogenetic Indicator to Ore Deposits’. Volume 90; Pages 1-1118 (November 2017). 2013: Editor (Mondal, S.K., Griffin, W., Maier, W.D. ), Special Issue of the journal LITHOS (Elsevier) on ‘Ore Deposits & the Role of the Lithospheric Mantle’. Volumes 164–167, Pages 1-96 (April 2013). 2012: Editor and compiled (Mondal, S.K. ), Abstract volume of the 2-day conference on "Recent Developments in the Chromite-Platinum Group Elements and Ni-Cu-Sulfides, Ti & V ore fields' under the 'International Workshop on Magmatic Ore Deposits, Dec 1-8 (Bangalore, India)'; published by Geological Society of India. 2009: Editor (Mondal, S.K., McDonald, I. ), Special Issue on ‘Advances in the understanding of chromitite deposits’ of the Applied Earth Science: IMM Transactions Section B. Volume 118, December 2009. Transactions of the Institutions of Mining and Metallurgy incorporating Proceedings of AusIMM;Institute of Materials, Minerals and Mining (London). 2008: Editor (Mondal, S.K. ), Special issue of the Journal of Geological Society of India on ‘Orthomagmatic ore deposits related to ultramafic-mafic rocks’ V.72, No.5, Nov 2008. 2008-present: Associate Editor (Editorial Board), Journal of the Geological Society of India (Springer). 2006: Contributed to and featured as a Scientist (page 158-159) in a textbook for the kids (Grade 4) published by the Macmillan/McGraw-Hill, New York City. It was a project by the National Center for ScienceLiteracy, Education and Technology under Education Department of the AmericanMuseum of Natural History, New York City. This book has been initially circulated to elementary schools in California in 2007 and nationwide (US) in2008, and a part of teaching materials for the school kids of Grade 4. Check the following website for the PDF copy of the book: Reading in Science - Meet Sisir Mondal (page 158-159). 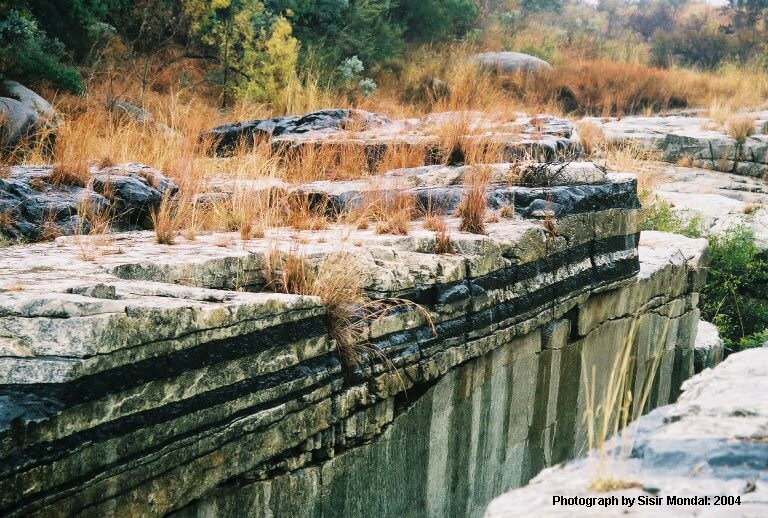 Archean granite-greenstone terrains: Singhbhum and Dharwar Cratons, India (IGCP-479; NordCEE). Invited talk presented in the National Seminar 'Recent status of the utilisation of low grade chromium bearing ore', Metallurgical & Material Engineering Department, Jadavpur University, India, Nov11, 2016. Invited talk presented in the Institute of Geochemistry, Chinese Academy of Sciences, Guiyang, PR China, April 30-May 4, 2014. Invited talk presented in the National Seminar 'Recent advances & future challenges in Geochemistry and Geophysics: the Indian scenario’, Banaras Hindu University, India, February 22-24, 2012. Invited talk presented in the workshop 'Precambrian Tectonics and Related Mineralization in South India', AMD-BRNS (DAE) - Bangalore, India, October 13-14, 2011. Invited talk presented in the Annual General Meeting of the Geological Society of India, Banaras Hindu University, India, 22-24 September 22-24, 2011. Resource Person, Geological Society of India NSB-IIA training course, 18-31 October 2010. Invited talk presented in the Special session 10e of the Goldschmidt conference Davos, 26 June 2009. Invited talk presented in GEUS, GEOCENTER Copenhagen, 2 April 2009. Invited talk presented in the NordCEE Annual Field Conference, Sweden, 30 May 2008. Invited talk presented in the Dept. of Applied Geology, Kuvempu University, Karnataka, India, 27 October 2007. Key Note, National Geophysical Research Institute (NGRI), Hyderabad, 19-20 July 2007. Invited talk presented in the Geological Society of India Monthly Meeting, Bangalore, 30 May 2007. Invited talk presented in the Division of Planetary and Geosciences, Physical Research Laboratory, Ahmadabad, 13 March 2007. Invited talk presented in the Dept. of Earth and Planetary Sciences, American Museum of Natural History, NYC, 6 June 2006. Hazel M Prichard, Sisir K Mondal, Ria Mukherjee, Peter C Fisher, Nicolas Giles (2018): Geochemistry and mineralogy of Pd in the magnetitite layer within the upper gabbro of the Mesoarchean Nuasahi Massif (Orissa, India). April 2018, Volume 53, Issue 4, pp 547–564. First Online: 20 July 2017. doi: 10.1007/s00126-017-0754-4 Peer-Reviewed article. #Banerjee, A., Mondal, S.K., Arai, S., Prichard, H.M.: Origin of chromites in orthopyroxenite from the Mesoarchean Nuasahi Massif (India). To be submitted. Peer-reviewed article. #MSc dissertation student supervision. Mondal, S.K., #Khatun, S., Hazel, M. Prichard, Satyanarayanan, M., Ravindra Kumar, G.R. (in revision): Geochemical investigation on the Archean chromitite and ultramafic-mafic rocks from the Sukinda Massif (Orissa, India): magmatic differentiation and implications for PGE mineralization. Peer-reviewed article. #Ph.D. research scholar supervision. Mondal S.K., Prichard, H.M.: (2016): PGE-Rich Chromitite Bands in the Mesoarchean Nuasahi and Sukinda Massifs, Singhbhum Craton (India). GOLDSCHMIDT 2016-Yokohama (Japan). Abstract with programs. Prichard H.M., Mondal, S.K., Barnes, S.J. (2016): Advances in Understanding Ore Deposits in Mafic/Ultramafic Rocks. GOLDSCHMIDT 2016-Yokohama (Japan). Abstract with programs. #Majumdar, A.S. Hövelmann, J., Mondal, S.K., Putnis, A. (2016): The role of reacting solution and temperature on compositional evolution during harzburgite alteration: Constraints from the Mesoarchean Nuasahi Massif (eastern India). Lithos 256, 228-242. Peer-reviewed article. #Ph.D. research scholar with Andrew Putnis at U. Munster. #Majumdar, A.S. Hövelmann, J., Vollmer, C., Berndt, J., Mondal, S.K., Putnis, A. (2016): Formation of Mg-rich olivine pseudomorphs in serpentinized dunite from the Mesoarchean Nuasahi Massif, eastern India: Insights into the evolution of fluid composition at the mineral-fluid interface. Journal of Petrology 57, 3-26. #Ph.D. research scholar with Andrew Putnis at U. Munster. Coggon, J. A., Luguet, A., Lorand, J.P., Fonseca, R., Appel, P., Mondal, S.K., Peters, S., Nowell, G.M., Hoffmann, J.E. (2015): Early Mantle Evolution and the Late Veneer – New Perspectives from Highly Siderophile Elements. Abstract with Program. Abstract No. DI31A-2575, AGU Fall Meeting 2015. Mondal, S.K., Pramanik, I., Mukherjee, R., Bank, S.P., Satyanarayanan, M. (2015): PGE geochemistry of Precambrian mafic dykes from the Singhbhum Craton (India). GOLDSCHMIDT 2015-Prague. Abstract with program. Abstract No. 2174. #Mukherjee, R., Mondal, S.K., González-Jiménez, J.M., Griffin, W.L., Pearson, N.J., O’ Reilly, S.Y. (2015): Trace-element fingerprints of chromite, magnetite and sulfides from the 3.1 Ga ultramafic-mafic rocks of the Nuggihalli greenstone belt, Western Dharwar craton (India). Contributions to Mineralogy and Petrology 169:59 doi: 10.1007/s00410-015-1148-1. #Ph.D. research scholar supervision; Peer-reviewed article. #Paulukat, C., Døssing, L.N., Mondal, S.K., Voegelin, A.R., Frei, R. (2015): Oxidative release of chromium from Archean ultramafic rocks, its transport and environmental impact - a Cr isotope perspective on the Sukinda Valley ore district (Orissa, India). Applied Geochemistry 59, 125-138. Peer-reviewed article. #Ph.D. research scholar with Robert Frei at Copenhagen University. #Mukherjee, R., Mondal, S.K., Rosing, M.T., Frei, R. (2010): Compositional variations in the Mesoarchean chromites of the Nuggihalli schist belt, Western Dharwar craton (India): potential parental melts and implications for tectonic setting. Contributions to Mineralogy and Petrology 160: 865-885. #M.Sc. dissertation & Ph.D. research scholar supervision; Peer-reviewed article. Mondal, S.K., Zhou, M.-F. (2010): Enrichment of PGE through interaction of evolved boninitic magmas with early formed cumulates in a gabbro-breccia zone of the Mesoarchean Nuasahi massif (eastern India). Mineralium Deposita 45: 69-91. Peer-reviewed article. Srivastava, R.K., Mondal, S.K., Balaram, V., Gautam G.C. (2010): PGE geochemistry of low-Ti high-Mg siliceous mafic rocks within the Archean central Indian Bastar Craton: implications for magma fractionation. Mineralogy and Petrology 98: 329-345. Peer-reviewed article. Mondal, S.K., Frei, R., Ripley, E.M. (2007): Os isotope systematics of Mesoarchaean chromitite - PGE deposits in the Singhbhum craton (India): Implications for the evolution of lithospheric mantle. Chemical Geology 244: 391-408. Peer-reviewed article. Mondal, S.K., Ripley, E.M., Li, C., Frei, R. (2006): The genesis of Archaean chromitites from the Nuasahi and Sukinda massifs in the Singhbhum craton, India. Precambrian Research 148: 45-66. Peer-reviewed article. Mondal, S.K., Baidya, T.K., Rao, K.N.G., Glascock, M. D. (2001): PGE and Ag mineralization in a breccia zone of the Precambrian Nuasahi ultramafic-mafic complex, Orissa India. Canadian Mineralogist 39: 979-996. Peer-reviewed article. Mondal, S.K., Baidya, T.K. (1997): Platinum-group minerals from the Nuasahi ultramafic-mafic complex, Orissa, India. Mineralogical Magazine 61: 902-906. Peer-reviewed article. Mondal, S.K., Baidya, T.K. (1996): Stichtite [Mg6Cr2(OH)16CO3.4H2O] in the Nuasahi ultramafites, Orissa, India - its transformation at elevated temperatures. Mineralogical Magazine 60: 836-840. Peer-reviewed article. 26th Annual Goldschmidt Conference 2016 (26 June-1 July), Yokohama, Japan – No participation; convener and chair of the Session 9a with Bill Griffin. Participated, paper presented (two), chaired and convened a special session in the 25th Annual Goldschmidt Conference 2015, Prague, Czeck Republic. Abstract with programs, 16-19 August 2015. Participated, paper presented (two), chaired and convened a special session in the 23rd Annual Goldschmidt Conference 2013, Italy, Florence. Abstract with programs, 25-30 August 2013. Participated, chaired a session and presented invited talk in National Seminar on ‘Recent advances and future challenges in Geochemistry and Geophysics: the Indian scenario’, organized by Banaras Hindu University, India, 22-24 February 2012. Participated and presented invited talk in the National workshop on 'Precambrian Tectonics and Related Mineralization in South India', organized by AMD-BRNS (Department of Atomic Energy) - Bangalore, India, 13-14 October 2011. Participated and presented invited talk in the Annual General Meeting of the Geological Society of India, organized by Banaras Hindu University, India, 22-24 September 2011. Participated, paper presented, chaired and convened a special session in the 21st Annual Goldschmidt Conference 2011, Prague, Czeck Republic. Abstract with programs, 14-19 August 2011. Participated and paper presented (two, one invited talk) in the 19th Annual Goldschmidt Conference 2009, Davos, Switzerland. Abstract with programs, 21-26 June 2009. Participated and paper presented in the AGU Fall Meeting, San Francisco, California, USA. Abstract with programs, 15-19 December 2008. Participated and paper presented in the 17th Annual Goldschmidt Conference 2007, Cologne, Germany. Abstract with programs, 19-24 August 2007. Participated and paper presented (keynote) in ‘National seminar on exploration for platinum-group elements (PGE), gold and diamonds in India’, National Geophysical Research Institute (NGRI), Hyderabad, India. Abstract with programs, 19-20 July 2007. Participated and paper presented in the 15th Annual Goldschmidt Conference 2005, Moscow, Idaho, USA. Abstract with programs, 21-25 May 2005. Participated and paper presented, GAC-MAC-SEG joint meeting, Vancouver, Canada. Abstract with programs, 25-28 May 2003. Participated and paper presented, GSA Annual meeting-Denver, USA. Abstract with programs, 10/2002. Participated and paper presented, 9th International Pt-symposium, Billings, Montana, USA. Abstract with programs, 21-25 July 2002. Participated ‘International conference on fatigue and fracture of glass, ceramics and composites: CFFGLACE-99’, Indian Institute of Cultivation of Science, Calcutta, India. Abstract with programs 1999. Participated in the 82nd Indian Science Congress, Jadavpur University, India. 1995. Academic visit (Academic exchange and Invited talk), Institute of Geochemistry, Chinese Academy of Sciences, Guiyang, P.R. China (30 March - 5 April 2014). Participated and presented invited talk in the workshop on 'Precambrian Tectonics and Related Mineralization in South India', organized by AMD-BRNS (Department of Atomic Energy) - Bangalore, India, 13-14 October 2011. Participated in the workshop on 'PGM from Experimental to Natural', sponsored by SGA & IMA-COM at Czeck Geological Survey, 18 August 2011. Participated and presented invited talk in the NordCEE Annual Field Conference, Brosarp, Sweden, 30 May 2008. Visited Geological Museum (1 week) for research meeting with NordCEE-Copenhagen Group, Geological Museum, U. of Copenhagen, Denmark, November 2007. Participated in public speaking workshop of Dr. Neil deGrasse Tyson, The Frederick P. Rose Director of the Hayden Planetarium, American Museum of Natural History, 31 May 2006. Participated, paper presented, co-chaired the workshop, and co-chaired a session in the IGCP-479 workshop and short course plus field trip on ‘Recent advances in magmatic ore systems in mafic-ultramafic rocks’, Hong Kong University, China. Abstract with programs, 2004 (11-20 December). Participated in the workshop on 'Innovative teaching in science', IICB (CSIR), Calcutta, India, 2003. Participated in the workshop on ‘Geology and Exploration of Platinum-Group, Rare Metal and Rare Earth Elements’, organized by GSI-AMD-JU, Calcutta, India. 6-7 February 1996. Participated in the 10 week ‘Intensive Course on Programming & Application of Electronic Computers’ and awarded ‘CERTIFICATE OF MERIT’ from Indian Statistical Institute, Calcutta. 22/8- 4/11, 1994. Ratul Banerjee: DST-INSPIRE research scholar, Ph.D. candidate 2018-current. Course work for PhD Research Scholars on 'Reading seminars on magmatic ore deposits’ & ‘Platinum Group Elements (PGE): geochemical tracers to understand the evolution of the Earth’s mantle’. Special paper for postgraduate (theory). Magmatic ore deposits (theory for undergraduate & postgraduate: 2000-present). Petrographic studies of the ore mineral assemblages (laboratory for undergraduate & postgraduate: 2000-present). Non-metallic mineral deposits having clay mineralogy as a component (theory for undergraduate & postgraduate: 2000-2002). Petrographic studies of Igneous rocks (laboratory for undergraduate & postgraduate: 2000-2008; 2012-present). Mineralogy (theory for postgraduate: 2000-2004, 2010-2013). Mineralogy (theory for undergraduate: 2000-2002, 2010-2013 ). Optical Microscopy of minerals (laboratory for undergraduate: 2000-2002). Geochemistry (theory for undergraduate: 2010-2013). Introduction to Geology (theory for undergraduate: 2011-present). Geology for Metallurgical Engineering (theory) and Study of minerals and rocks in hand specimens (laboratory) (undergraduate: 2000-2002 & 2010-2013). Supervised students for special paper on seminar presentation (undergraduate & postgraduate). Conduct field-training program for undergraduate, postgraduate students and research scholars. International workshop on ‘Magmatic Ore Deposits’ 1-8 December 2012, Bangalore, India.